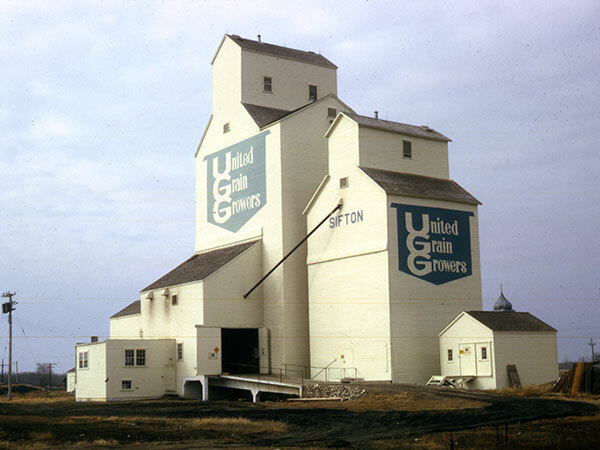 United Grain Growers built a grain elevator in Sifton, on the CNR Cowan Subdivision in the Rural Municipality of Dauphin, in 1917. It was destroyed by fire on 26 June 1926. Rather than rebuild it, the company bought the North Star grain elevator in August 1926. It was renovated several times and a 50,000-bushel annex was constructed in 1950. The old elevator was converted to an annex in 1957 and a 66,000-bushel elevator was built. In the 1971 the old elevator-annex was torn down. The remaining elevator was demolished after the railway line was abandoned and the rails were removed. 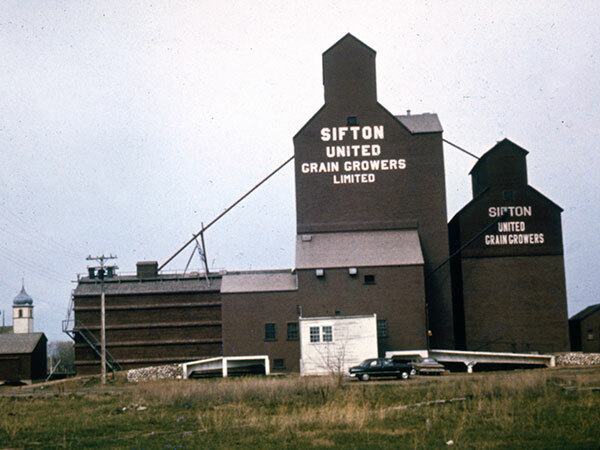 Sifton Then and Now by Elsie Lesyk, Dauphin: self-published, 1992. UGG Fonds, MSS76, Box 60, University of Manitoba Archives & Special Collections. This page was prepared by Gordon Goldsborough, Glenn Dickson, and Randy Zihrul.